Hotter than a depot stove. Yer clouds as green can be. An amazing storm swept across the Texas Panhandle Wednesday night (4/11.) I was at work in Borger and saw it roll across northern Potter and southern Hutchinson counties from our hospital-on-the-hill. Parts of Potter and Hutchinson and Moore counties got over 4 inches of rain. I guess the most astounding pictures to come out of the deluge was of hail drifts 4 foot (that’s right 4 FOOT) tall. 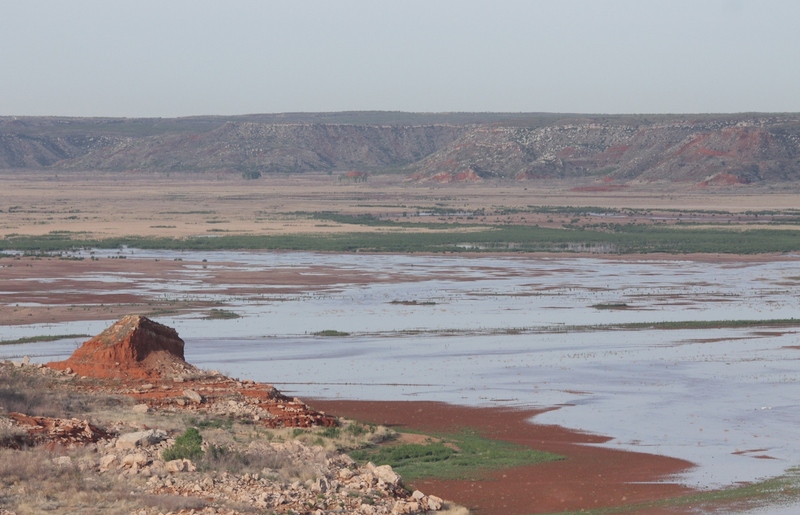 Parts of the highway between Amarillo and Dumas were shut down for 12 hours while crews cleared the highway of hailstones with snowplows and repaired flood damage. 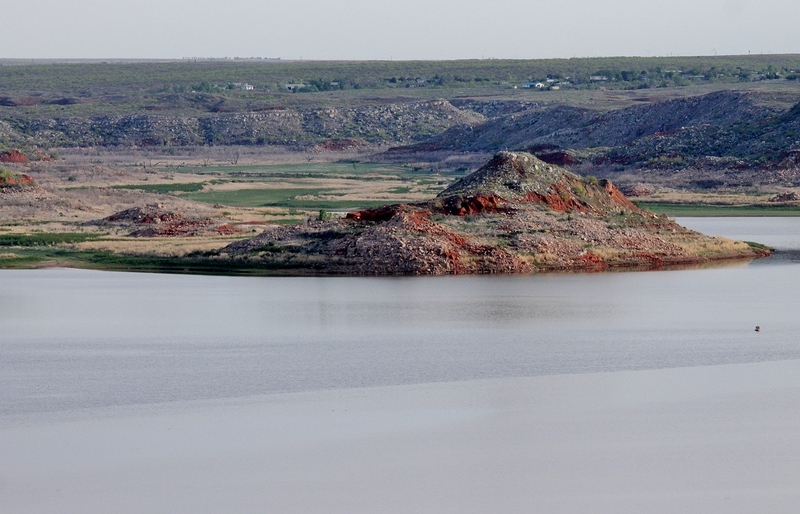 The good news is that a lot of the rain fell in the watershed for Lake Meredith. At the Canadian River bridge on US 287 the river had a depth of 5 feet and the lake levels as of 1900 Thursday were up 18 inches. That only leaves about 50 feet or so to get back to normal! 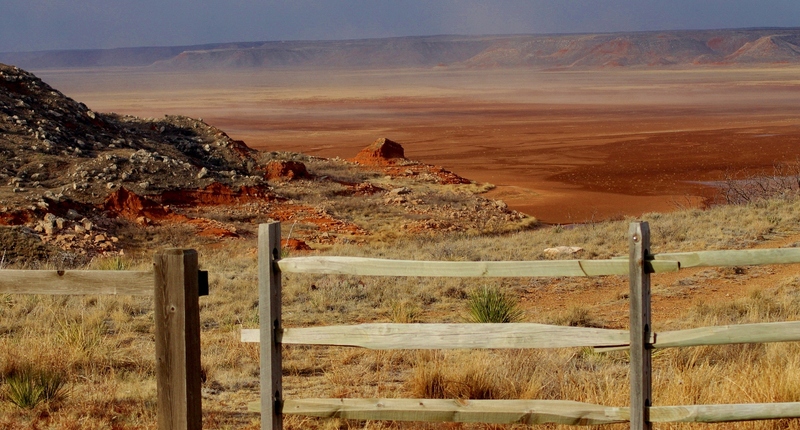 This photo was taken in early March of this year during a dust storm on the lake bed. This one was taken this morning. There were lots of waterfowl on the lake–scores of Northern Shovelers, American Coots, Northern Pintails, American White Pelicans, Double-crested Cormorants, and Ring-billed Gulls scattered over the south end and a group of Turkey Vultures had settled on the shore in front of Blue Creek. A few weeks ago we were seeing Bald Eagles there. 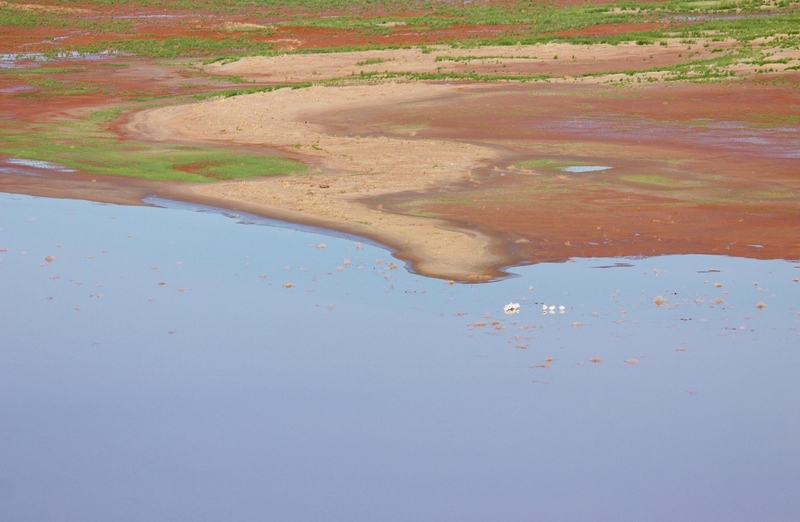 Don’t get too excited, though–the lake isn’t even as full as it was last June. It’s got a long way to go before Arrowhead is an island again, instead of a peninsula. 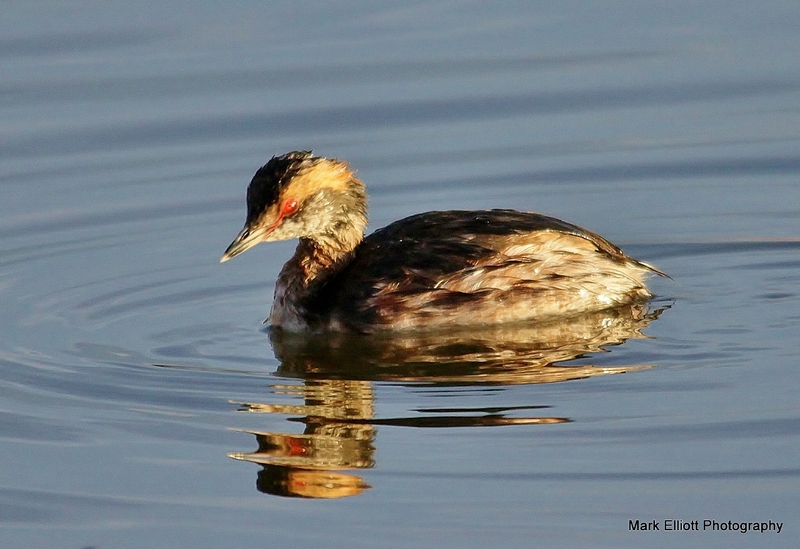 At Spring Canyon there was a beautiful little Horned Grebe that let me get up pretty close and take a few photos. 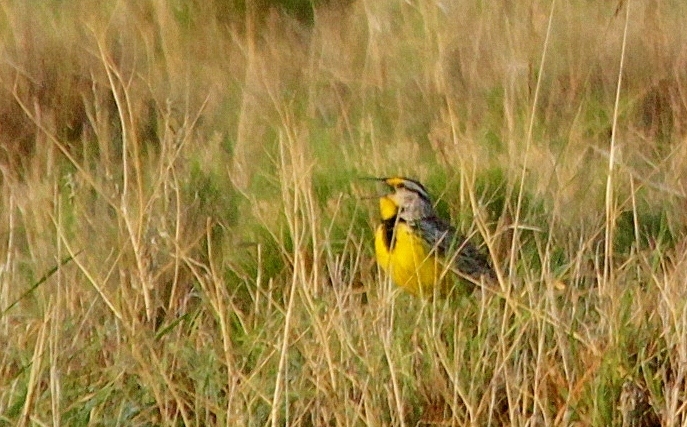 I see a lot of Western Meadowlarks at Spring Canyon but today there were a few of the Eastern species there. They actually look pretty much the same (the Western is a little lighter and has a little more yellow on his throat) but have very different songs. The Eastern’s song is much more plaintive than the Western’s. I saw a new bird at Spring Canyon this morning also. I was chasing after a Scissor-tailed Flycatcher and was distracted by a drumming sound from a partially dead mesquite. A Ladderbacked Woodpecker was building a nest inside a dead branch of the tree but took off as soon as he heard me. 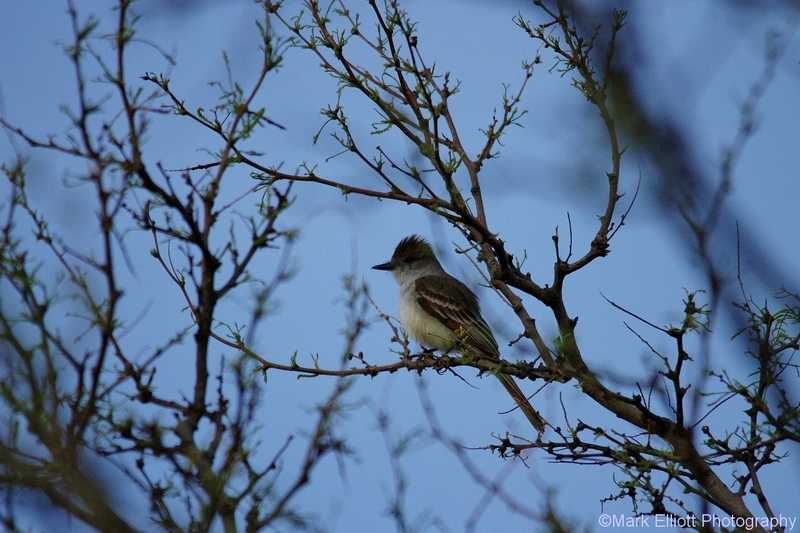 I was walking back to my truck when I heard a “c’mere, c’mere” that I followed to find an Ash-throated Flycatcher. It’s always a good day when you get photographs of a new bird for your lists. For more photos of these and other birds listed in this post check out the galleries.